Take the sting out of your daily commute with a fuel-efficient and comfortable Toyota car from Bob Smith Toyota in La Crescenta, CA. Our Toyota dealers are here to help customers of all types, including people like you who want more than just reliable transportation. We have vehicles that not only offer efficiency and incredible value, but also models that provide the latest technology in a stylish package. The model that set the standard for hybrids continues to lead the way with comfortable seating, a large cargo area, and incredible fuel economy at an estimated 54 mpg city. Let’s face it, you sometimes live out of your car, and the 2018 Toyota Prius has enough space for bags, gear, and those shuttling passengers. As an added bonus, you get a vehicle selected as a 2018 Top Safety Pick by the Insurance Institute for Highway Safety (IIHS). Are you looking for even greater fuel savings? Our Toyota dealers near Glendale encourage you to check out the Toyota Prius Prime, a plug-in hybrid vehicle (PHV) with an all-electric mode and an EPA-estimated total driving range of 640 miles. If you are looking for a more traditional sedan but with untraditional character and performance, the 2019 Toyota Camry is a must drive. The 203-horsepower 2.5-liter engine performs in the city and the open road with up 41 mpg highway. This sleek model delivers style and safety with standard driver assistance features such as a pre-collision system with pedestrian detection. In fact, the 2018 Toyota Camry earned a five-star safety rating from the National Highway Traffic Safety Administration (NHTSA). Need a little more efficiency for your daily commute in Los Angeles, CA? You might consider the 2019 Toyota Camry Hybrid and its estimated 51 mpg city. 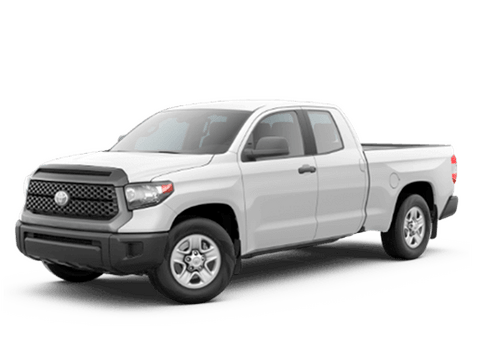 Do you need a compact car to fit those small parking spots, but still want standard safety features and fuel efficiency at an incredible value? The 2019 Toyota Corolla is a perfect choice. This four-door vehicle is large enough for car pools and loaded with technology like the available seven-inch, high-resolution touchscreen. You also get the innovative Toyota Safety Sense™ P suite of driver-assist systems as standard. Change your daily commute forever with great Toyota deals from Bob Smith Toyota. Our Toyota dealers serving Pasadena encourage you to check out our extensive inventory today! You will appreciate the technology, fuel efficiency, and comfort of our new Toyota cars for sale.